Sauté onions with olive oil in a large skillet until slightly caramelized. Add zucchini to the skillet & sauté for 2 minutes. Add peas and cook for 2 minutes. 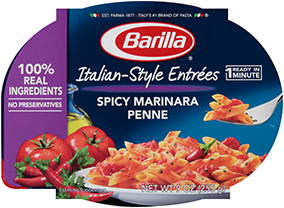 Cook pasta 1 minute less than package directions. Drain & reserve ½ cup of the cooking water. Add pasta and water to the skillet and cook 1 additional minute. Toss with parsley & cheese then serve.